Social networks have redefined our lives since their advent nearly a decade ago, and from then on, we were never the same on the internet. The picture that jumps to notice in our minds, when we talk of a social networking website, is undoubtedly Facebook. There are over a billion members to it and it was also funnily analyzed as the third highly populated continent in the world. When time goes by, the mainstream social sites like Facebook, Myspace (Recently revamped) and etc may turn boring, and there were always times when many people wished to have new kinds of social places on the internet that would offer them a little detour from the regular ones. Recently Google launched Google plus social networking site which is seen as a good alternative to Facebook, but from my experience it can’t be a really Facebook killer. Google plus is indeed a very useful social-networking site, but a normal (non-tech) user might not find Google plus to be as interesting as I find it as a blogger. Anyhow, I thought of creating a list of those Social-netwworking site which are best alternatives to Facebook, and you can pick one according to your usage pattern. It is also necessary in the current lifestyle to know more about the ways to socialize with people, because social networking is no more only about good pastime. It is recently becoming a source for employers to find out those skills, qualities and best interests, in a person, that doesn’t usually show up in the corporate offices or job interviews, thus helping them to find the right candidate for a job. Especially this trend is very prominent for online artists, who exhibit their artistic skills on the internet and earn well from it, all through the social media interaction. 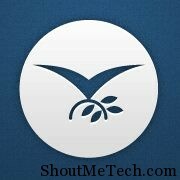 Here, in this article, are some social networking sites of various kinds, which are slowly growing to fame. They have their own notable differences from Facebook or Myspace, and it’s time for you to take a look at them and consider getting yourself an account. Pinterest is a social networking platform where all the interesting things that you find on the internet can be pinned to, such as photos, videos, websites and etc, onto number of customizable virtual pinning boards, which explains the name, Pinterest. This is a great place to save all your likes, as you find them. As a user, you can have any number of boards upon which you pin the things, you can give those boards different names, based upon what you would like to pin on them, such as wallpapers, funny images, videos, trailers, books to be read, favourite movie download websites, articles, and even those things that are to be placed on the next month’s shopping list, or even those dreamy wishlist of items you’d love to have in your life, and etc. All these can be stored on to the corresponding boards. You can share your boards with many people online and also follow other people’s boards. 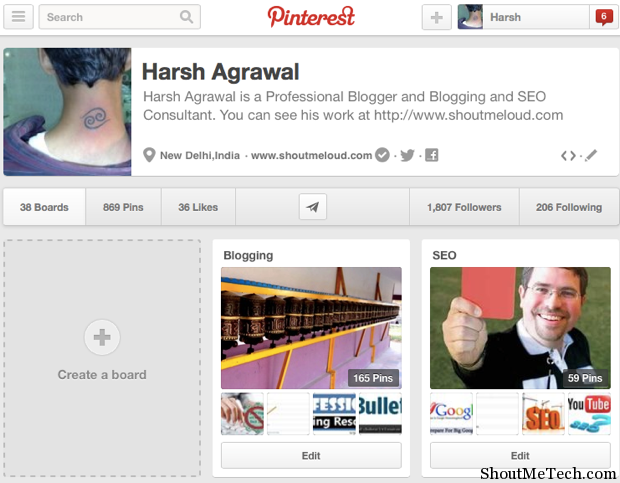 To get updates from other people, all you need to do is ‘Follow’ them on Pinterest. Have a look at this new socializing arena and see for yourself what it has to offer you. You can check out my Pinterest board over here. Here is a new platform which is not just a social network, but also a microblogging space that is becoming widely popular in the recent days. Tumblr is now holding more than 45 million members. It is shaping up to be the new social arena for netizens. 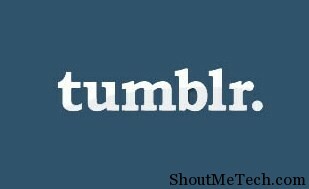 Tumblr is a hotspot on the internet for sharing various kinds of digital data, such as text, quotes, photos, music, videos, links, blogs etc, with many people. The posts can be set to public or private, allowing the user the privacy choice for the data. As mentioned above, tumblr is also a microblogging service, where people can create many blog posts. And the best feature of Tumblr is its themes; it holds a big number of free themes that increase the beauty of the content that you post on your profile. It gives a very attractive look and a high standard quality to everything that you put there. Surely, this is a service that is here to stay, for a very long time. You can check out my tumblr blog here. Harnu is offering an all new experience in the field of social networking. It is designed in such a way that lets people from various parts of the globe connect with eachother, living the true meaning of a global network, which internet actually is. For people who love to learn about other counties, their cultures of various kinds, food habits, exotic locations, famous travel destinations, people’s lives and a lot more, Harnu is the place to be. The members on Harnu are registered with their country names and so when a person interacts with a new member, he can see which country he’s from, and they both can interact with one another by exchanging their views and opinions on something of their mutual interest. Especially this website is going to be of great use for those who are planning to travel outside their country and are looking for people who would give them a glance of the places they’re planning to visit. Through Harnu, you can interact directly with people from the country you’re planning to visit, and ask them anything you wish to know that would help your travel, such as the weather conditions, tourist interests, ways of transport, expenses of travel and etc. If your dream is to travel around, an account at Harnu is something you would love to have. 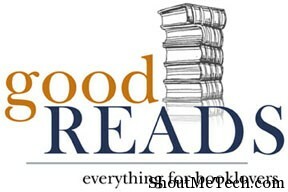 Goodreads is undoubtedly an internet party place for book lovers. Here, people will find all the books in the world of literature, which they can give a rating to, write reviews about, share their quotes, and above all, find those people who also love the books, like you do. This book reading network provides its users a facility to add friends, a messaging feature, discussion boards, book lists, yearly reading challenges, book reviews and etc. Discussion board of Goodreads lets people start various discussions on wide range of topics of literature, such as opining about what the authors intended to say in epic poems such as John Milton’s Paradise Lost, Virgil’s Aeneid or what is the hidden meaning of Edgar Allan Poe’s Raven or whether a book is better than its movie, and a lot more such discussions and doubts. Bookshelf is provided for its users, where the reader can enlist the books he read till date, those he’s currently reading and also those he wants to read in the future. The updates of your bookshelves are shared with your friends, which keeps them updated about what you’re reading, and vice versa. If you love reading books and are looking for a social platform for finding people like yourself, log on to Goodreads, right away. The real essence of socializing is in people grouping up and living the moments together, and here is a social network exactly for that. 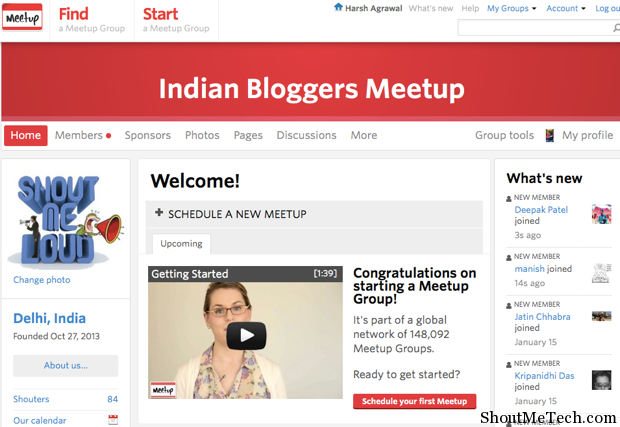 Meetup is a website for local groups of a neighborhood to plan and meet one another in person at some place of their choice. According to its official website, more than 9000 local groups meet up each day around the world with the help of Meetup. You can search the new meetups near your location and plan to join them or you and your friends of the nearby places can start a new meet up on your own. The mission of this website is to redefine the purpose of social networking, which it is surely doing. The conversations with other members will help you make great plans to travel around. And, you can even keep up with the new found friends, days after the meetup. Isn’t that just a wonderful new service on the internet to enrich the ways you interact with people! Honorable mention: If you are one of those people who like to read excellent stuff and write too, you should definitely check out Quora. This is one place where you will find all intelligent people hanging out. Specially if you plan to make your social-networking more productive and to meet like-minded people, Quora is the place to be. Life is made up of time, and internet is redefining the ways we spend our time, by transforming it into moments and memories of our lives.